Have you ever seen anything so tiny and intricately formed? This miniature Enterprise iron is described on p.143 of “Tuesday’s Children” by Judy Politzer (1977). At only 7/8″ long, it’s cast of nickel-plated brass. 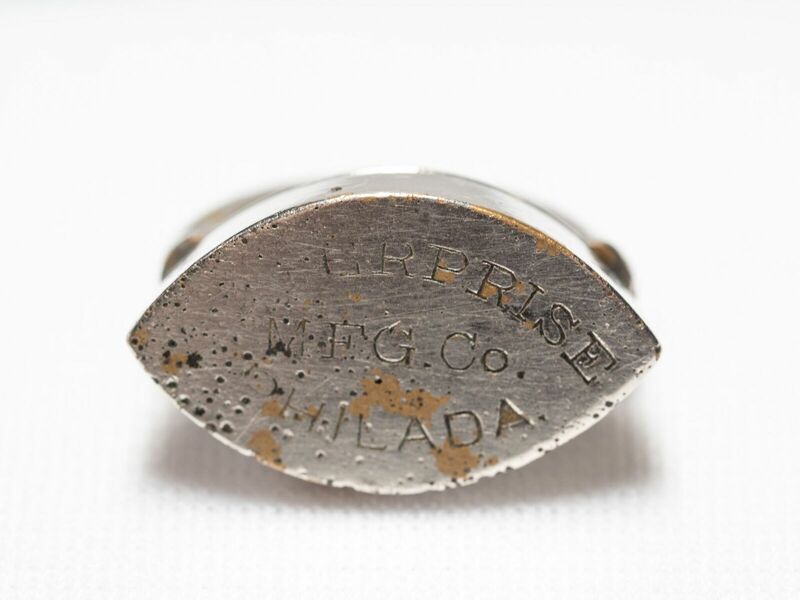 On the bottom is the inscription ENTERPRISE MFG. Co. PHILADA. 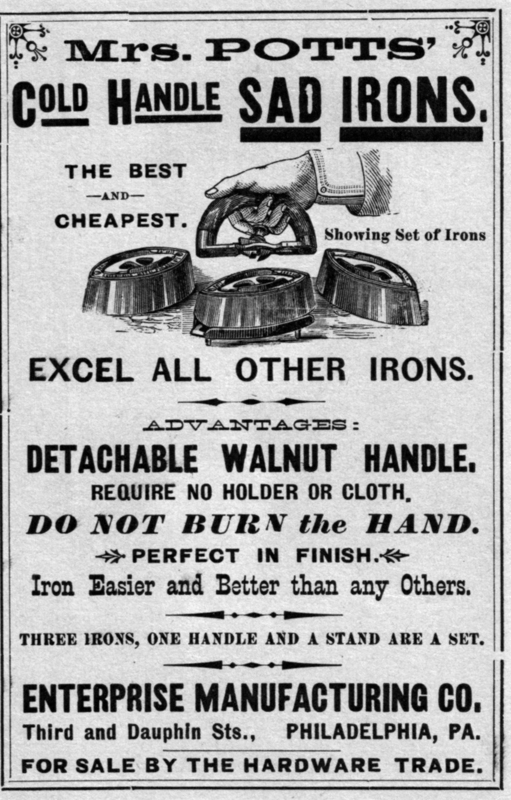 In 1871 Mary Florence Potts patented an improvement on the household sad iron. Each set came with several double-pointed bases and a detachable wood “Cold Handle”. 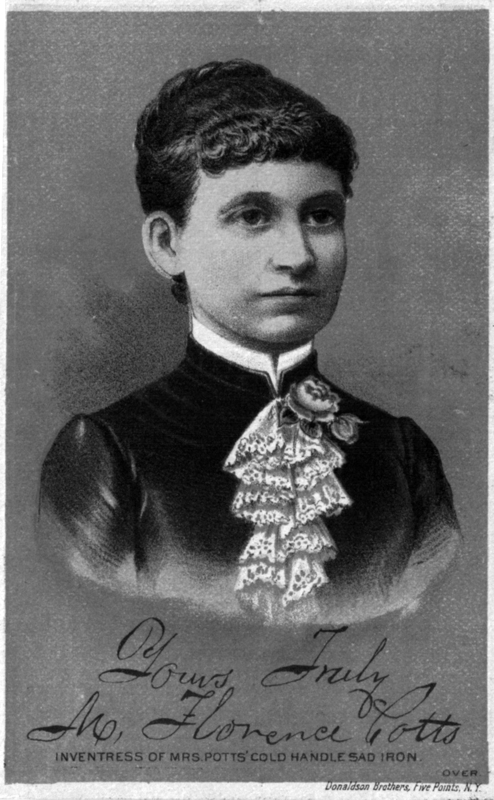 The Enterprise Manufacturing Company of Philadelphia acquired Mary Florence Potts’ iron patent and soon became a leading producer of household sad irons. Here’s one of their trade cards. The Centennial International Exhibition of 1876 was the first official World’s Fair in the United States. Held in Philadelphia PA, it celebrated the 100th anniversary of the signing of the Declaration of Independence. The Enterprise Mfg. 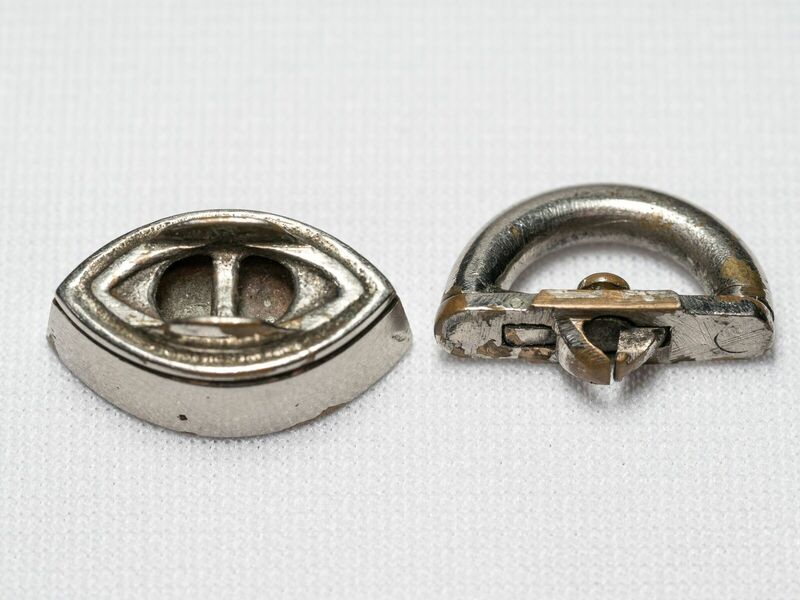 Co. gave away these tiny “Baby Centennial” working models at their booth at the 1876 Exposition. 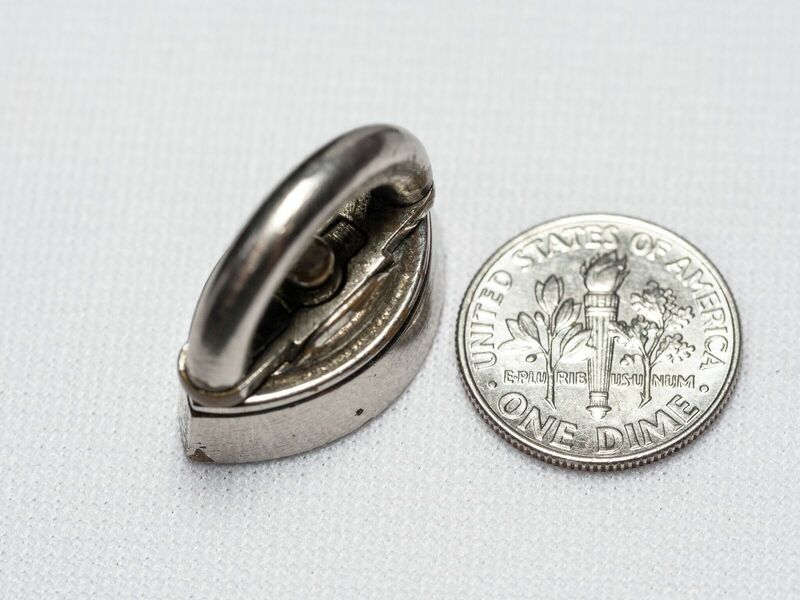 The handle detaches from the base, just like the full sized Mrs. Potts iron, by sliding the tiny latch. PS: I sold my Enterprise Baby Centennial (on eBay) in September 2016 for $125. I trust the new owner will enjoy it as much as I did! Update: A similar Enterprise Baby Centennial Iron sold on eBay in February 2019 for $103. This entry was posted on October 11, 2016 by Lynn Rosack in Souvenir or Commemorative and tagged Centennial Exposition of 1876, Enterprise Manufacturing Co., Mary Florence Potts, nickel plated cast iron.